It's one thing to think about your book, but quite another to actually write it. I see so many authors who know they want to do it, who are genuinely, fiercely even, committed but who, for one reason or another, allow life to get in the way. Their dream remains just that -- a dream. I get it -- we're all busy -- especially those of us who have a high-powered job or are running a business. The book is something that we do intend to commit time and energy to, yet weeks, months, and sometimes years go by without writing a word. Yet, if we simply start writing, without the expectation or pressure of 'the book', it can be so much easier than we think. You've done the thinking, you've checked in with yourself and you know you want to write a book. You've prepared. Your notebooks are ordered, and you've stocked the kitchen with your favourite tea. You've perhaps even started to outline. Arranged and structured your ideas; doodled with them in one of your shiny new notebooks. It's fun to do this, but there's remains an inexplicable block between playing with the ideas and the part of the process that involvesthe writing. Maybe it feels like too large a commitment? Maybe it's a skill gal, or a confidence gap? You don't quite understand it, but that's OK because we do. And we have solutions. Nine of them in fact. You might think there has to be a perfect workspace, but all you need is the 'right' workspace for you. Not every task is created equal, and you can choose different spaces for different stages. Find the best space for starting to write. Perhaps somewhere quiet, a space away from everyone at home or at work. And make sure it's quiet enough for you to focus, or allows you to listen to some gentle background music if that is your preference. It's OK to test out different spaces at work, home or in a public environment (like a library -- one of my favourite spots). If you can associate a certain space, that's different from your regular workspace, with your writing, then it can act as a trigger to get you into full concentration. Don't worry if you don't feel inspired every day. Just stay in a routine and keep using that same space. It might take a little time but it will become somewhere you associate with working on your book. And working productively. Find out how you best record your writing. Are you a 'talker'? A true 'writer'? Or maybe you're a 'team writer' and you like to collaborate? There are no hard and fast rules and you can literally talk out your book today with all the technologies available. Test out whether voice recording, typing or writing by hand works best for you. If you hate typing, consider paying someone to type out your voice recordings or handwritten scripts. Find out what time of day you write best. Some people find they are most creative in the early morning, others in the late evening. When you've figured out which it is for you, organise your other activities around that time, so that writing takes priority in your schedule. If you think you're waiting for the ideal time, or that something in the future will change, then you're fooling yourself. Make a commitment now to finding the time in your schedule, because tomorrow is a day that never comes. I like to do the writing first, and I ask my clients to make that same commitment. Ideally this will be first thing in the morning, or first thing when you get to your desk. Or it could mean first thing when you get home from work, or first thing after dinner, or first thing on a Saturday morning. Whichever you decide, commit to the philosophy of 'first' and don't allow yourself to be sidetracked by other activities or other people. It's easy to find something else to do each day but, a month down the line, with a few chapters under your belt, you'll be grateful you stuck with the writing. Although you might have a regular (or preferred) time of day to work, do give yourself some flexibility to grab a few minutes when the inspiration strikes you. Don’t block your productivity or creativity because an idea has interrupted you when you are busy with something else. The brain is an unpredictable machine and you can’t control when your best ideas or clearest expression of your ideas will pop into your head. Just accept that it will happen, and record them as and when they do. I have a client who likes to make notes on her phone when she's at work, and most of her first book was written this way -- in the margins of her day. It can help you use the writing time productively, because you're simply transcribing and expanding on ideas you've already noted down -- no motivation required! At this point, the best solution is to limit yourself with a short burst of time. There's sometimes about knowing time is limited that encourages us to go for it -- whether that's in an exam, or that last dash around the supermarket just before closing. We're there, the timer is ticking, and we want to move as fast as we can! I use a variation of the Pomodoro technique to re-create this sense of urgency in my day. And if it's a task I'm dreading, I make the time even shorter so the task is more manageable. Even ten minutes is a better start than nothing. 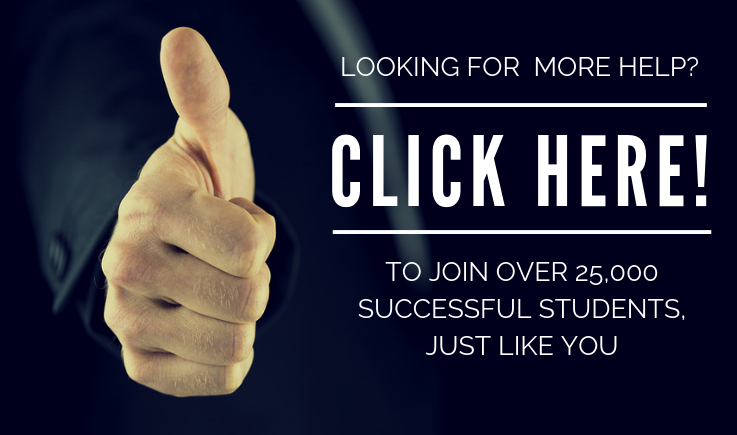 If this is a new system for you, then I recommend that you start with a 25-minute slot to work on your book. Use a timer -- there's one on every smartphone -- or buy a simple kitchen timer if you need to. It's best not to stay connected to the internet while you write. And do, please, remember to stop when the timer dings! After your 25 minutes, take a short break -- grab a coffee, do some stretches, have a treat, or take a (short) walk. Over time, the Pomodoro technique also has the advantage of showing you what you can achieve in these time slots, which is useful for time management and word count targets. You'll begin to see a pattern in how many words you can write in 25 minutes, or an hour, and you can accurately estimate how long it will take to get your first draft done. You may even find yourself becoming so absorbed in the writing you want to miss the evening's TV and set the timer for another 25 minutes. That's fine, go for it, but it's the process of stopping that gives you the reward and the motivation to continue, so be moderate about managing your time -- you're in this for the long haul. You probably know the saying that the only way to eat an elephant is in small chunks... Hopefully writing your book is a more pleasant experience than eating an imaginary elephant but, even so, telling yourself you're going to write a 50,000-word book when you've only ever written a 500-word blog post or some corporate emails, can be a little daunting. Even a 5,000-word chapter can be intimidating. 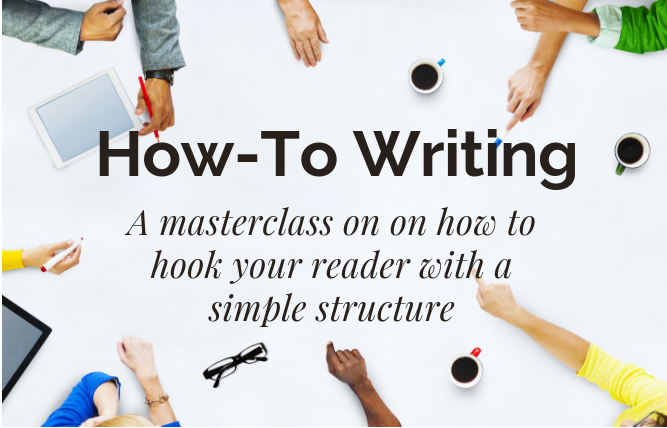 If you've taken our advice and structured your book well, however, and this includes doing a detailed outline, then it's easy to write a section at a time. Crafting a 150-word section in half an hour is very do-able, even for the novice writer. Achieving a goal is rewarding in itself and motivates you to achieve more. Soon those small sections become chapters, and the chapters build the book. We’ve all experienced procrastination; that feeling of not doing things we want to do and finding ourselves wasting hours doing nothing important. You have to let go of your expectations. What we're talking about here is getting started. It doesn't matter what you write, it's the process of starting that's important. You can procrastinate all you like about the topics you least enjoy talking about -- the order in which you decide to present the information in your book does not restrict the order in which you write the content. There's plenty of time to come back to those topics when you have more of a flow, or you've done more research on them. Start now, with the topics you do enjoy talking about, those closest to your heart. If you feel passionate about something, you don't need motivation. In fact, your friends, colleagues and family may find it hard to stop you talking about your favourite topic! So although franchising your successful organisation may be the last chapter in your book for the most logical organisation you have chosen, if this is the most exciting topic for you, start talking or writing on that topic first. Completing that section will motivate you to tackle others. Julia Cameron, author of The Artist’s Way, suggests that procrastination is nothing to do with lack of time; it’s just lack of courage. And even when you have the courage you need to find some early momentum. I usually start writing a book in the middle. I do the outline, and then I pick something that I want to write about, or that is at the front of my mind. Do the same. Stop procrastinating, open Scrivener, and use the strategies in this article to help you start writing your first (or next) book. A little off topic, but, if you know anything about baking bread, you might know that you have to have a starter. That can be an off-the-shelf yeast mixture, something you've created in your kitchen the same day. Or, as with a sourdough, it can be something you allow to ferment naturally, gathering yeasts from the air, and becoming more mature as time goes by. Writing prompts and writing exercises act in much the same way. They give you a place to get started writing, a first sentence, or a 'warm-up' that you can use to find your flow. Use something like this, or add questions, to your draft in pencil or italics, or a different colour. They're simply there to help you start and you will remove them later. Remember that you're only writing a draft. This first stage is very fluid and no-one (expect perhaps yourself!) expects you to get it down perfectly. My writing isn't any good! No-one will want to read this! Keep in mind, though, that even experienced, regularly published authors start with a first draft. Their work, just like yours, will go through a process of revision, copy-editing and proofreading. What you are writing now is a ‘first stab’ at the task; don't be precious about perfection, your job is to get it done. Writing isn't a beauty contest. Your process should be whatever helps you get it done. Your sole aim is to start writing; you can refine your process and your content as you become more experienced. The 'getting it done' part doesn't means you should write it by hand, or even type every word yourself. Use whatever technology you like and take whatever shortcut works. Choose a space and a time of day that suits you best, but remain open to ideas as they strike. If you haven't worked with a timer, try the Pomodoro technique and write your book section by section in small chunks. If you can sense that you're beginning to procrastinate, then write about your favourite topic first. Revel in the joy of writing about what inspires you rather than feeling guilty about what has yet to be done. And remember -- this is only a draft. No-one expects the first draft to be perfect. In fact, striving for imperfection can be a game that not only gets you started, but gets you all the way to the finish line. Now, you are becoming a writer! Starting your book means making a commitment and then following through on that commitment. Are you ready? I do hope so!